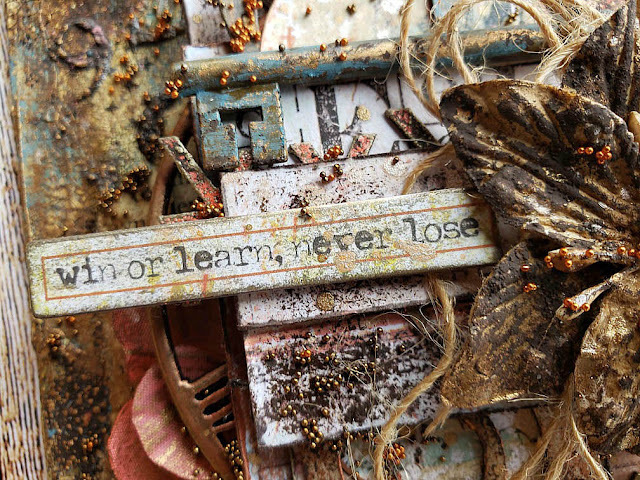 Hello everyone and welcome back to the Blue Fern Blog. Today I would like to share with you a canvas I made for my granddaughter Emily. I used a 7 by 9 canvas. First I primed the entire piece with Gesso to save me from any misting mistakes. Then I added a little bit of brick wall stenciling with molding paste. 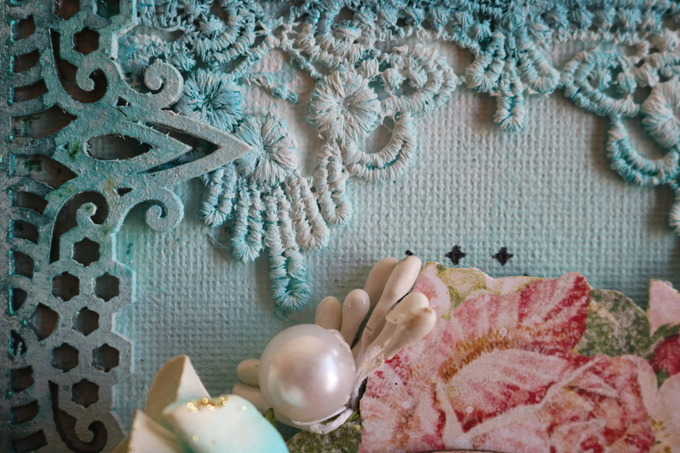 I added some lace along the top and bottom (both from Blue Fern) then attached a piece of chipboard border Mina's Border also from Blue Fern. I then went to work with my mists. I used blooms from the Attic Charm Collection. 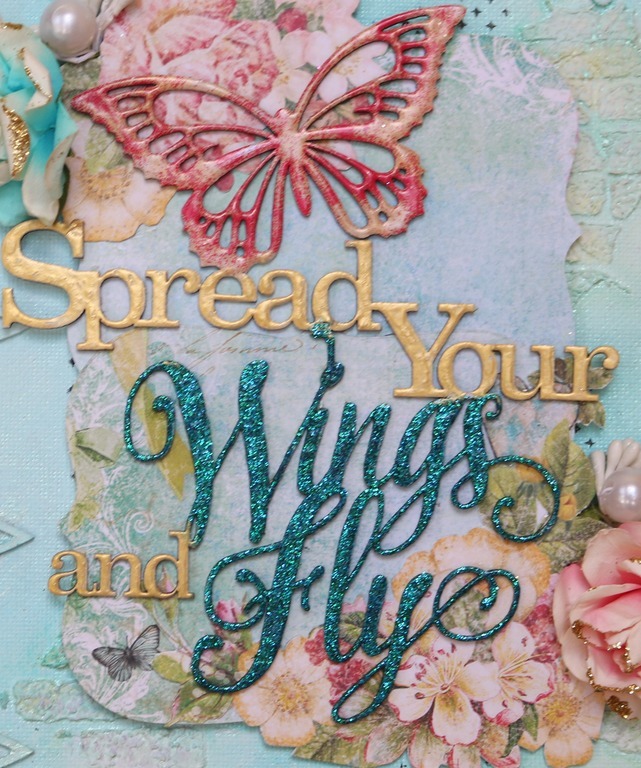 I used the chipboard piece Spread Your Wings and Fly as my focal point. I used Peacock, Honey, Raspberry, and it's a Girl embossing powders to decorate the piece. 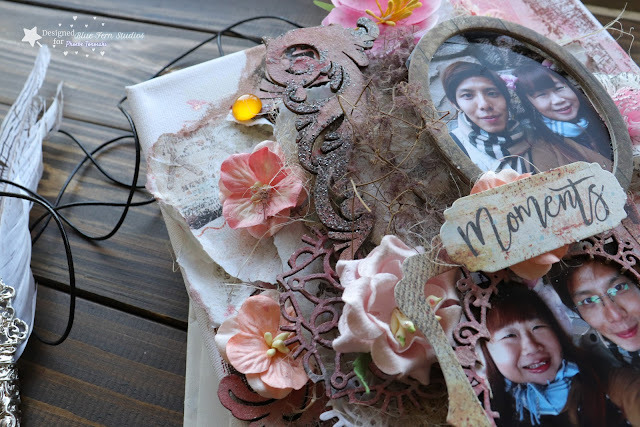 I covered the Mina's Border chipboard piece with mists. 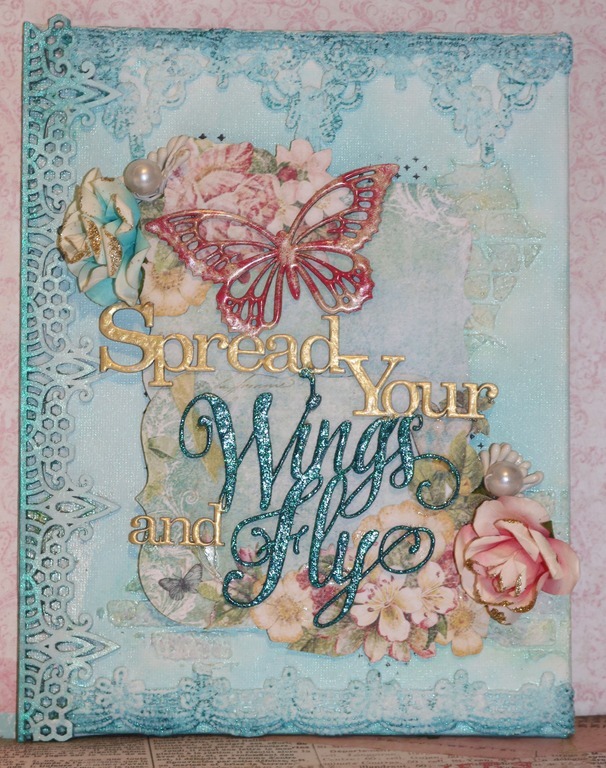 Masking work and some stamping using the Forever Stamp from Blue Fern. Aren't the lace pieces gorgeous! Finally my last little bloom cluster. Again Attic Charm bloom with a small white flower also from Blue Fern that I don't have a name for. Hi everyone! Debbie Burns here with you today. I'm so excited to be back designing for Blue Fern Studios. I've been a fan of their products for years and was lucky to have the opportunity to design for Blue Fern Studios over the last few years. I look forward to sharing my projects with you this year. I started off with blank canvas and added texture with paints, waxes, modeling paste and papers. 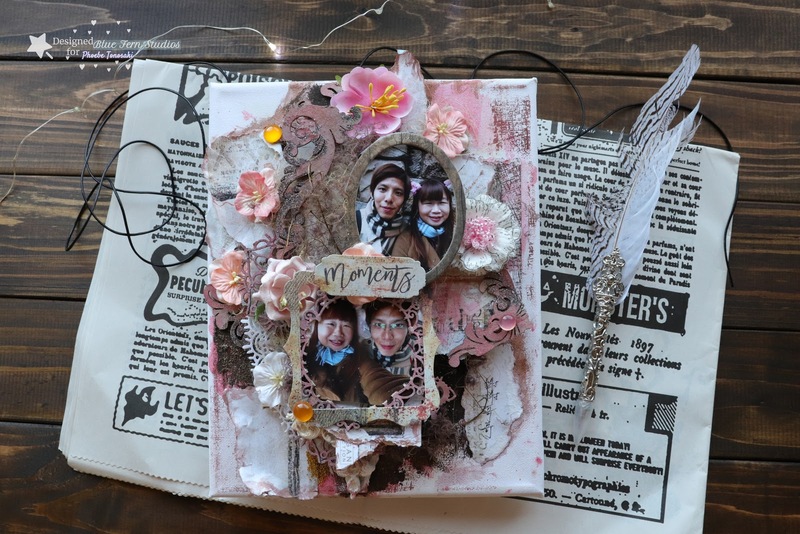 Lots of layering using the Suave and Grubby papers and ephemera from the Happy Accident 2 collection. 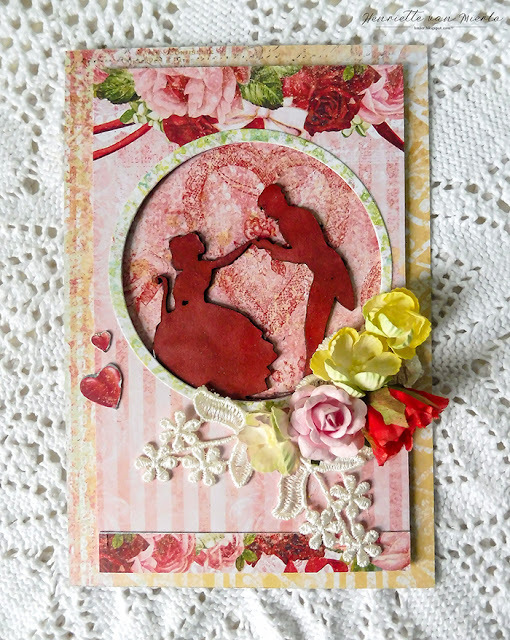 The title is from the Happy Accident 2 printed chipboard. To the right I used a Late Winter Lily which I dabbed with some brown rust effect paste and added some Blue Fern Paprika and Twig Seedlings. 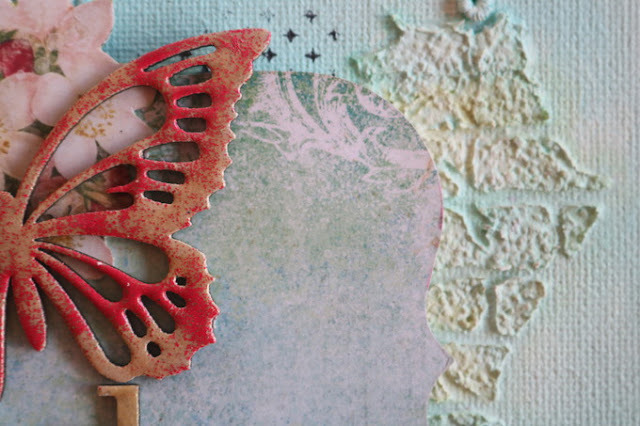 I placed a few pieces of chipboard among my layers. 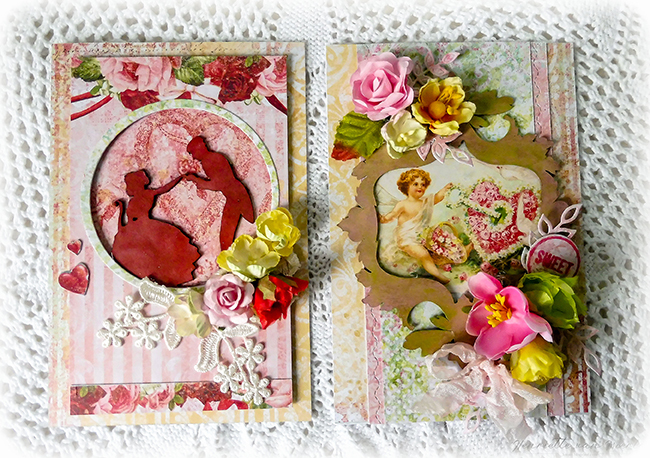 To the right I used the Criss Cross chipboard, embossed with Blue Fern Melon Embossing Powder. 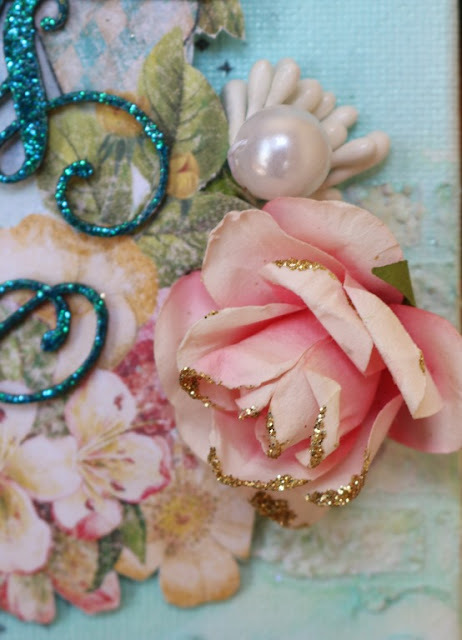 To the left I used a Classic Mini Frame chipboard, painted Blue and gold. 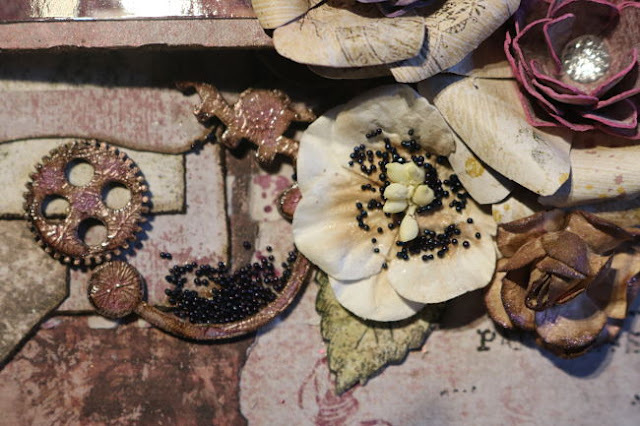 To the left and right of my layering I placed a Chesterville Blooms coral flower which I dabbed with some gold wax. I also placed a Swirls &Twirls chipboard piece, covered with gold wax. Tucked beneath the Late Winter Lily I used a blue flower from The Chesterville Blooms. The finishing touch, Twig and Paprika Seedlings. I hope I have inspired you. Thanks for stopping by! 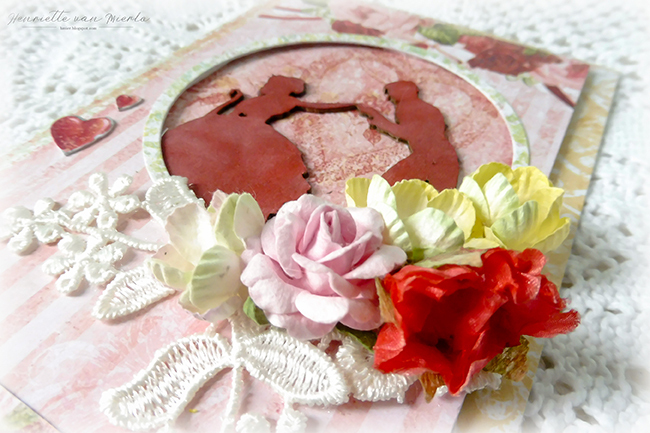 Hi, DT Henriëtte here today sharing two card I've created using the heartland papers. 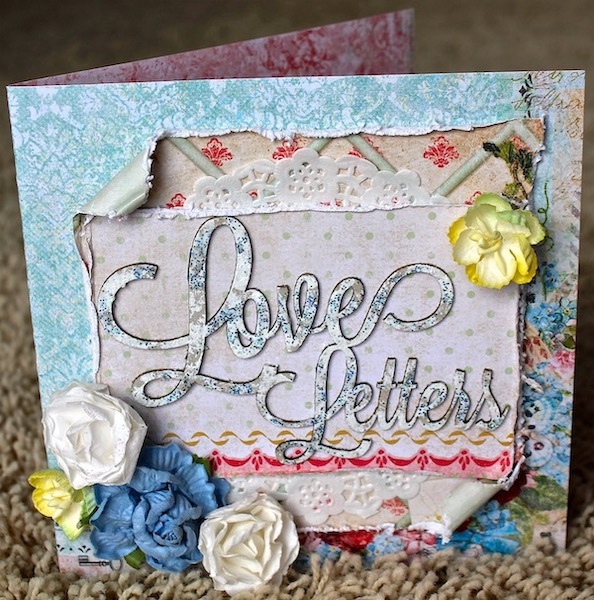 This paper collection is gorgeous and perfect for your love themed project. 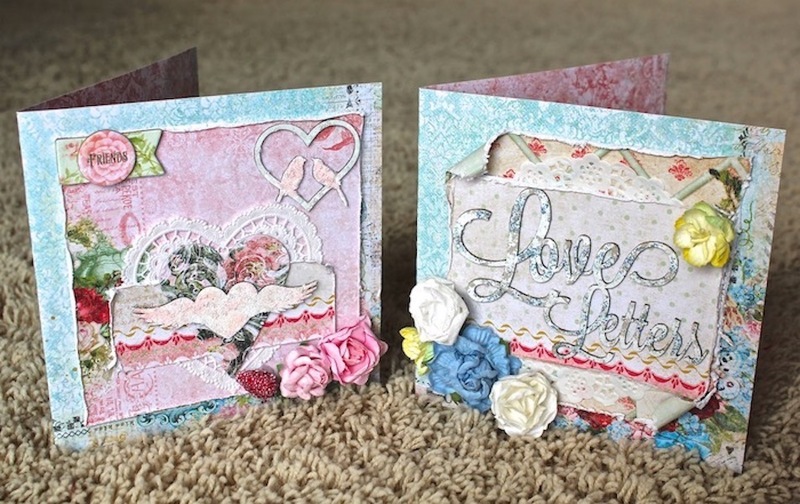 I used the heartland papers to make the card bases and dimensional layers. and placed it behind the die cut circle frame. I've added white lace and flowers in the lower right corner. For the other card I colored the chipboard frame with pink and green inks to match the papers and glued behind it a cut out from the Heartland "Love notes" paper. Hello Everyone, welcome back to the Blue Fern Studios Blog ! Have you felt that life is always a Journey of some sort ? 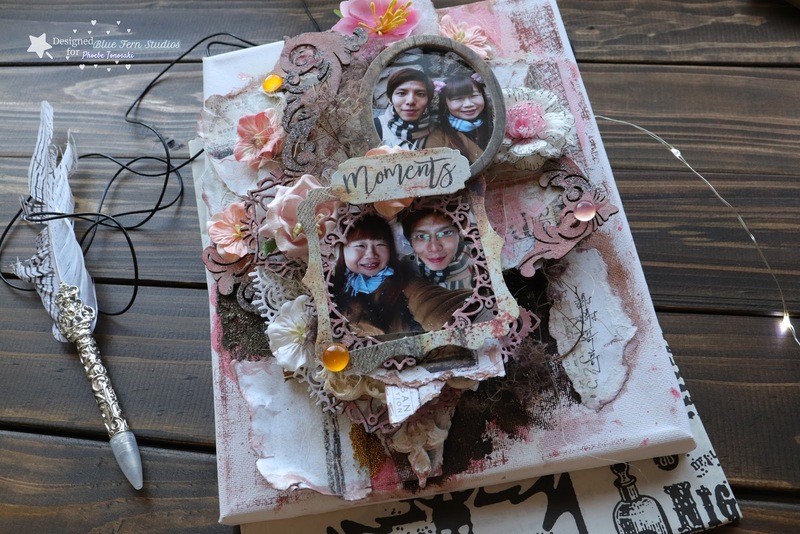 I've been trying really hard to simplify my life, to need less and have more time doing things I am passionate about especially in crafting and Art Journals. 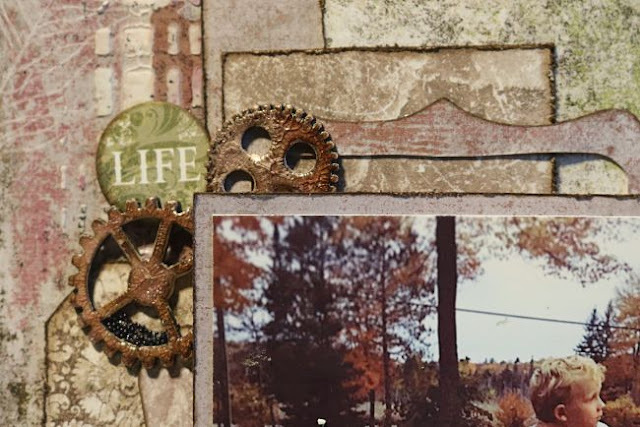 Today's Decor Panel has the perfect title Journey with lovely layers in Chipboard, Paper, Lace and Flowers which is quintessentially Blue Fern Studios. I love working with flat back canvases as they are sturdy to build on, can take layers of paper and paint without crumbling or bending out of shape. 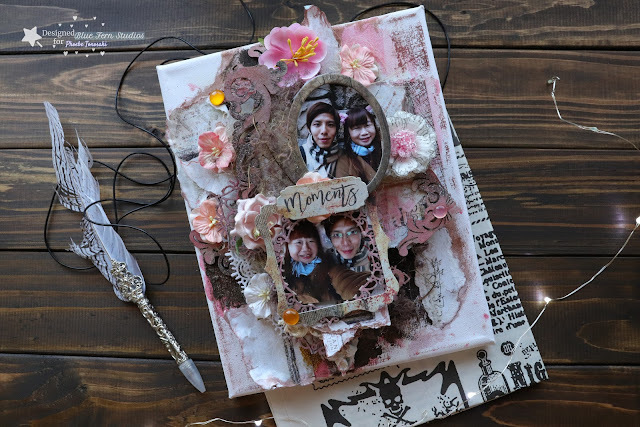 The overall design for this project is a "shabby and sweet with vintage touches" and hopefully you will be inspired to pull out your Blue Fern Studios supplies to create a similar piece ! To begin, a 10 x 8" canvas was given a base coat of Gesso and a very pale gray-green acrylic. Next I tore pieces of Chapters paper from the collection Amber and Apricot and adhered to the canvas randomly. 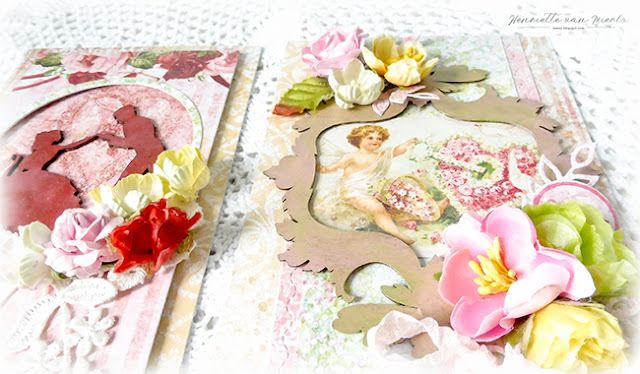 Add colour to the Chipboard Glam Frame with a vintage Bronze paint. As you can see the Frame was cut in two and the larger piece used on top layer, the smaller underneath. I used different sizes of paper to create layers, keeping to matching colours and the style consistent. The use of sticky foam squares helps lift the papers and the Flowers for dimension. 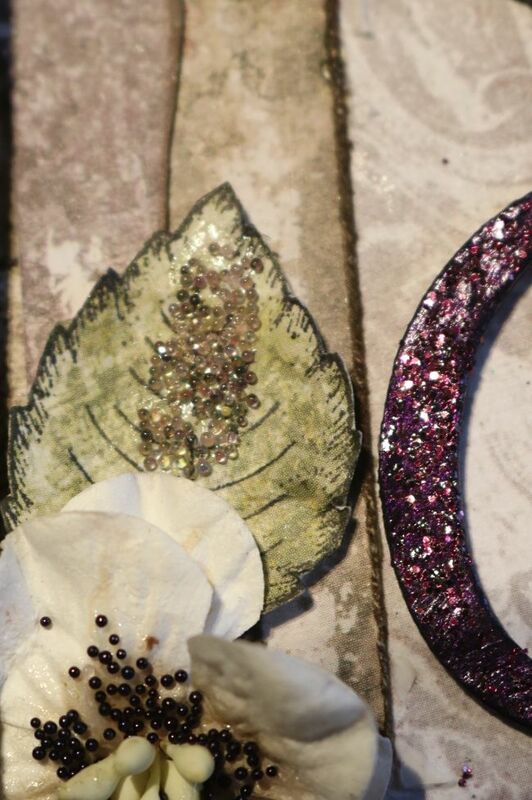 The Wanderlust Lilies are just too gorgeous and a wonderful addition to the project. Seedlings in Meadow was adhered to small areas creating texture. Stiffen the Lace No. 4 with acrylic paint to make it manageable, then cut it into small pieces to use for layers. The Wanderlust Printed Chipboard Shapes have words and shapes you can use to add a theme to your projects and so simple to use - just peel the backing paper and stick down ! Thank you for visiting the Blue Fern Studios Blog. I hope this Journey Panel sparks an inspired work by you and perhaps tell a story or reflection of your own creative process. Kavitha here with my first design team project. 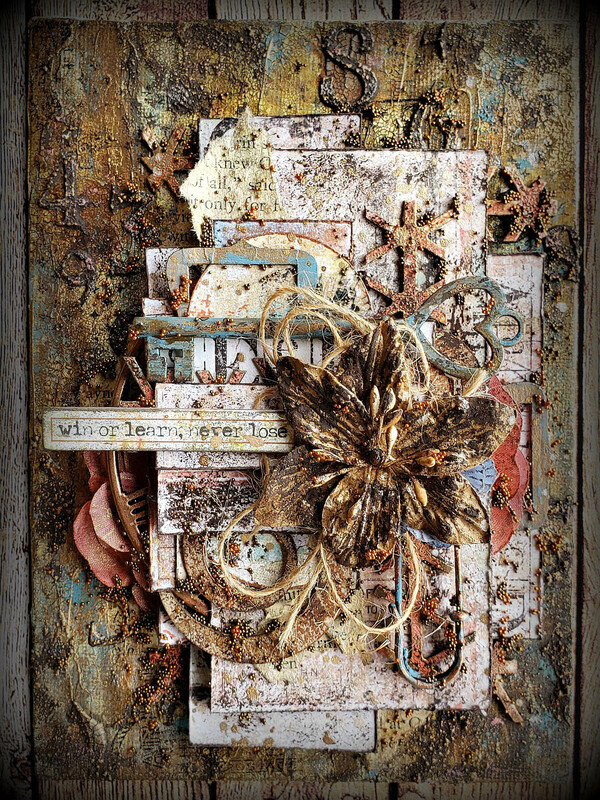 Hello all, today I am sharing a new canvas with Blue Fern Studios. It is a canvas for my baby brother. My baby brother has always been there for me. He supports what I do and how I am without reasons. He may not understand what I am doing or all the details of the situations, but he gives me unconditionally love and applause. He is a huge part of encouragement when I was enduring some difficult times in life. The canvas background is lightly stamped with "Coarse Fabrics" to create some visual texture. 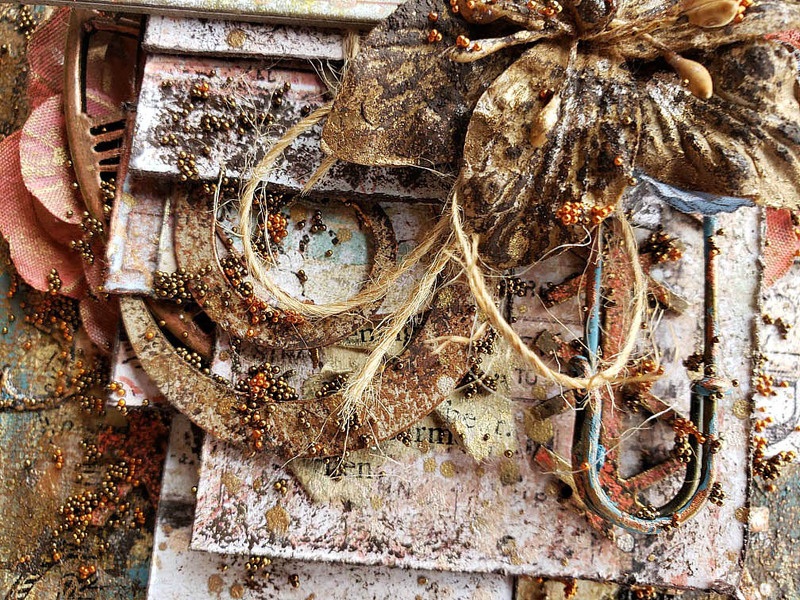 Chipboard was sprayed with a brown and pink tone of mist and then splattered with glitters. Different sizes of flowers are added into different layers to make more dimensional effect. Thank you for reading ! 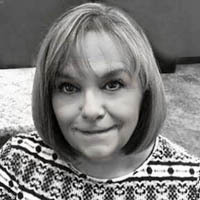 My name is Vicky Alberto (aka Simply Paper in the design world). After a 4-year break from being on design teams, I am thrilled to be designing for Blue Fern Studios for 2019... and that I finally get to renew my passion for paper art! My blog address is http://simplypaperandcreativity.blogspot.com where I chat about my work, and share my various tutorials. I describe my style as “a little shabby and a lot of chic”, with a vintage approach. 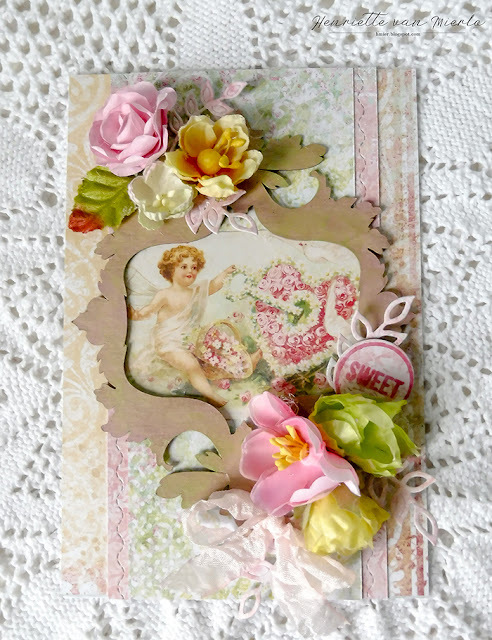 I enjoy working with vintage/romantic style papers and adore adding distressed layers, doilies, lace, stamping, and putting lots of flowers and chipboard on my projects. Therefore, Blue Fern is a match made in heaven for me... since they have it all and more! 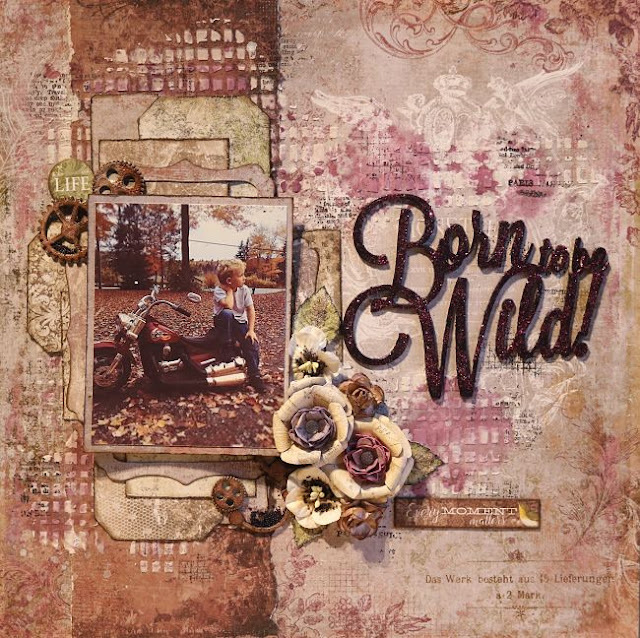 The first card features a mix of the gorgeous Heartland and Homespun collections, plus love story adornments & 2 hearts set chipboards. On the chipboard, I primed with gesso, glazed with a glass beads medium and then sprinkled BF pink embossing powder (before it dried). 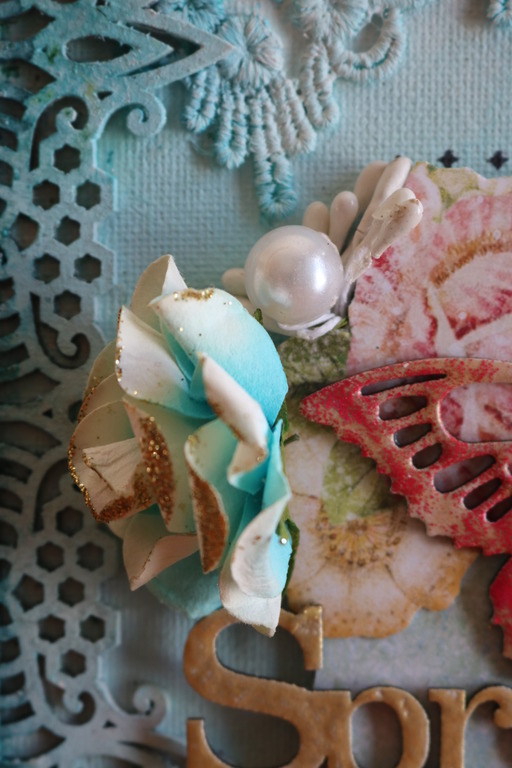 Look at the gorgeous flowers and adhesive shapes that coordinate with the paper collections... wow Blue Fern makes designing so easy! The only thing from my own "stash" is that cute heart paper doily. The second card features once again a mix of the beautiful Heartland and Homespun collections, plus love letters chipboard. 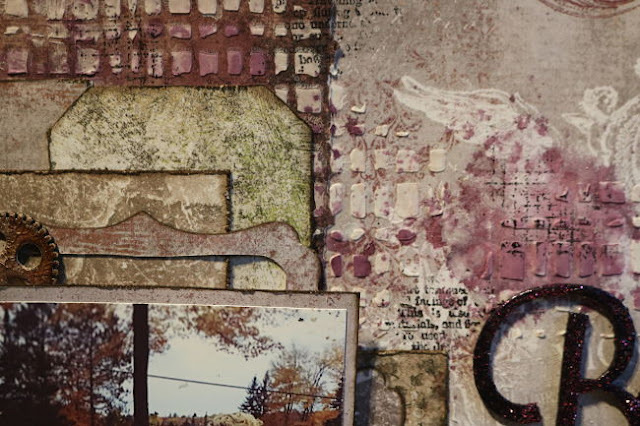 On this chipboard piece, I simply randomly dabbed gesso to leave exposed raw chipboard. 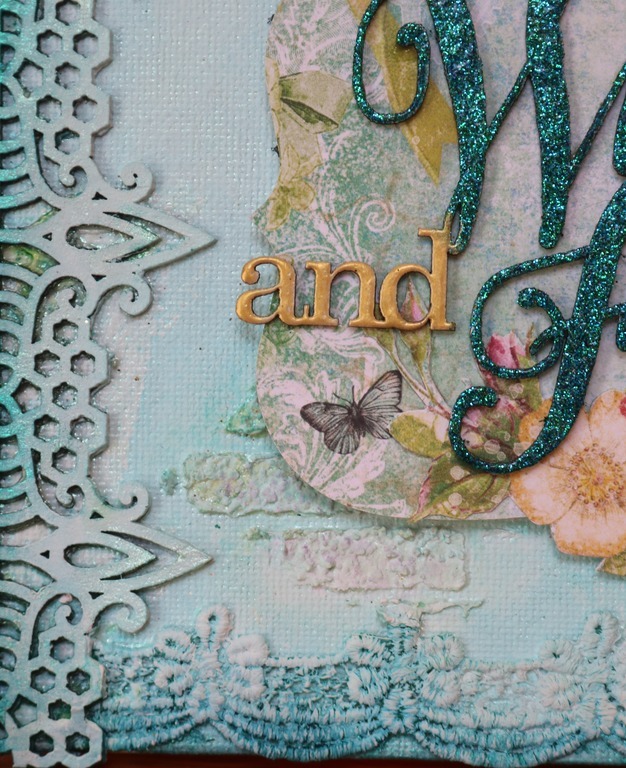 I then dabbed a bit of clear glue and quickly sprinkled blue BF embossing powder (before it dried). The only thing from my "stash" is the circle paper doily. More gorgeous BF flowers that perfectly matched this project are featured here! Thanks for taking the time to view my projects today. I cannot wait to create more and share new projects soon. Blue Fern is a real treat to design for since there are so many amazing elements to design with, that all perfectly coordinate. Blue Fern is truly one stop shopping! Hello and welcome to Blue Fern Studios. My name is Pam Ellis and I am thrilled to be here with you today! First a bit about myself. I live in Gravenhurst, a small tourist town in Northern Ontario, Canada. I live with my hubby and dog Bruiser. 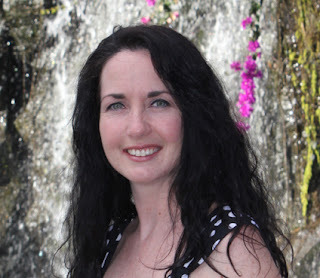 I was a Registered Nurse with the Toronto Hospital until I sustained an injury that ended my career. I am a mother of 5 daughters and grandma to 5 grandchildren. I started scrapping when my first grandchild was born exactly 12 years ago. My scrapping style is typically shabby chic but I enjoy experimenting and continue to evolve as a Visual Story Teller everyday. 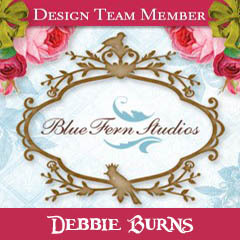 I have been a huge fan of Blue Fern Studios since its inception in 2012. I love the quality of their products and the vast choice of designs! I am honored to be a member of the 2019 design team and look forward to sharing my designs with you. So let's begin! I used the Remnants Collection to scrap this photo of my grandson Jaxon. It was the perfect choice as the colors complimented my photo perfectly. I used several different papers to build up my background behind my photo. 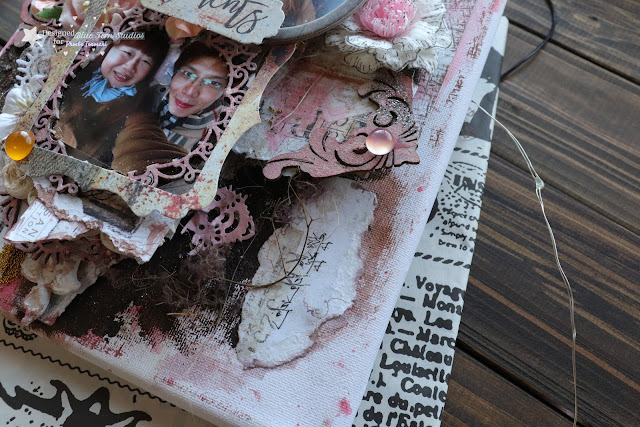 I also used the Remnants Printed Chipboard to add a few pieces to my page. 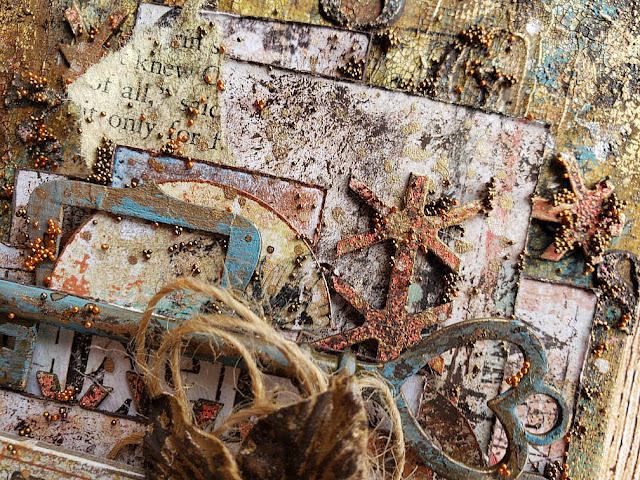 The chipboard cogs are from the Blue Fern Cogs & Gears set. I primed the chipboard with Gesso then painted it with mists. Once dry I added Crackle Accents. You can also see some Purpe Haze Seedlings tucked into the cog. Here you can see the masking and misting work I did on my background. My title is also from the Blue Fern chipboard collection. 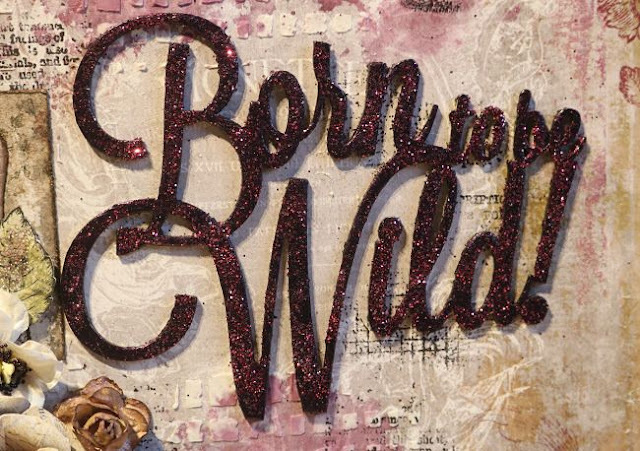 Born to be Wild was the perfect sentiment for this page. I think Jaxon looks like a mini version of James Dean! I painted the chipboard with a dark velvet purple then added Red Wine Sparkles (also from Blue Fern) to it to get the perfect color match for my page. I used two different colors of Seedlings on my page . 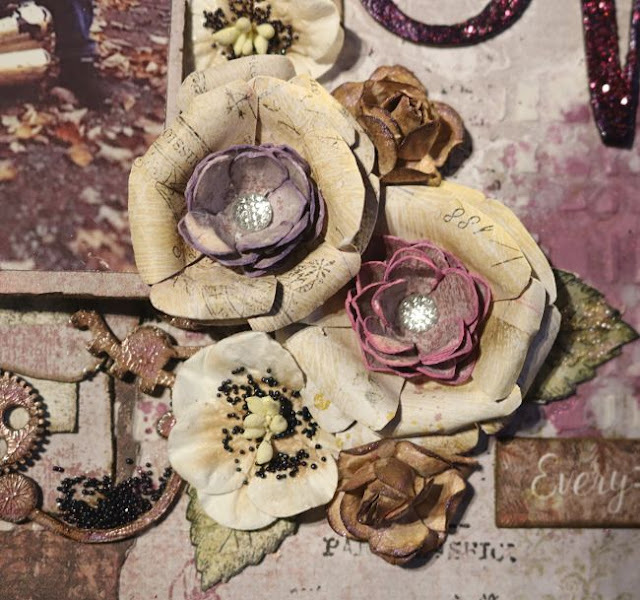 I used Purple Haze on the page and on my flowers and Tickled Pink on the leaves. I fussed with my flowers for a bit until I realized the best option for this page was to make some of my own. I used Blue Fern papers to make the largest two blooms. I also used flowers from the Apricot Bloom & Heartland Roses Collections. I altered these a bit with mist and by adding Seedlings. The leaves were also stamped on Blue Fern papers.